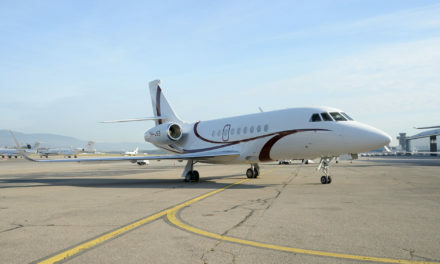 RUAG Aviation in Geneva provides C-Check services for a wide range of international and Swiss customers, specifically for the Dassault Falcon 7X, 2000LXS, 900 LX. Traditionally, these maintenance checks involve significant and often unpredictable costs and downtime. RUAG therefore offers the Tempeus® Customer Online Portal and flexible shift work to get its customers’ aircraft off the ground sooner. RUAG Aviation offers double maintenance shifts from Monday to Thursday to increase flight availability and reduce maintenance costs. The company’s tried-and-tested Tempeus® Customer Online Portal diagnoses aircraft failures, manages aircraft on ground (AOG) and ensures transparency with respect to progress and pricing. The tool is compatible with all aircraft types and provides customers with online access to progress reports at all times. Thanks to the tool and the company’s shift-based organisation, RUAG Aviation has managed to reduce average aircraft downtime by 20-30%, generating significant savings for customers. The tool also guarantees a high degree of flexibility, enabling customers to order and approve additional work at any time during the maintenance check. And as a one stop shop, RUAG Aviation provides aircraft upgrade services which can be carried out alongside the C-Check. This allows customers to optimise their aircraft’s downtime and combine the maintenance check with other services such as cabin refurbishment, avionics upgrades and the installation of new cabin entertainment systems – areas where RUAG Aviation has decades of experience. RUAG Aviation is an EASA Part 21 J and G approved Design and Production Organisation and can therefore carry out complex design upgrades as well as develop minor and major aircraft modifications. All services provided by RUAG Aviation are optimised with regard to time and maintenance costs, and are always in line with customer expectations and specifications. 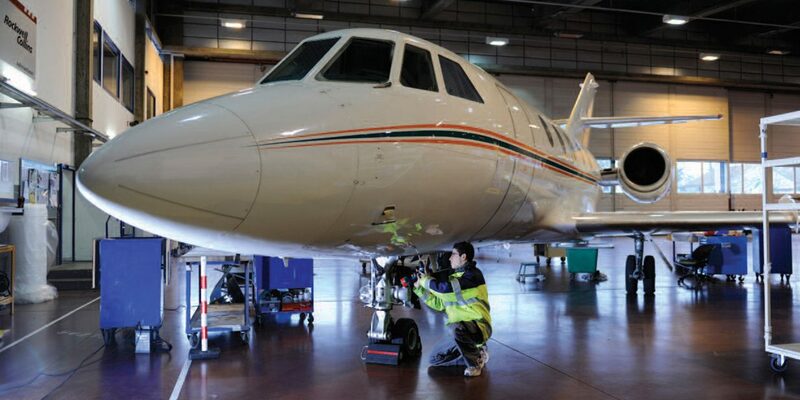 Falcon Aviation achieves GCAA approval for line maintenance support at Dubai South, Al Maktoum International Airport. Gulfstream to streamline and enhance customer connectivity with new program.